I had an interesting case come into my office this last week, a 3-month-old boy that was having difficulty sleeping and the inability to turn his head to the right. When his parent tried to turn his head to the right, the child would start to scream and cry. The parents reported that the boy had refused the breast from early on, and was therefore on formula, and also that his left eye drooped a little. 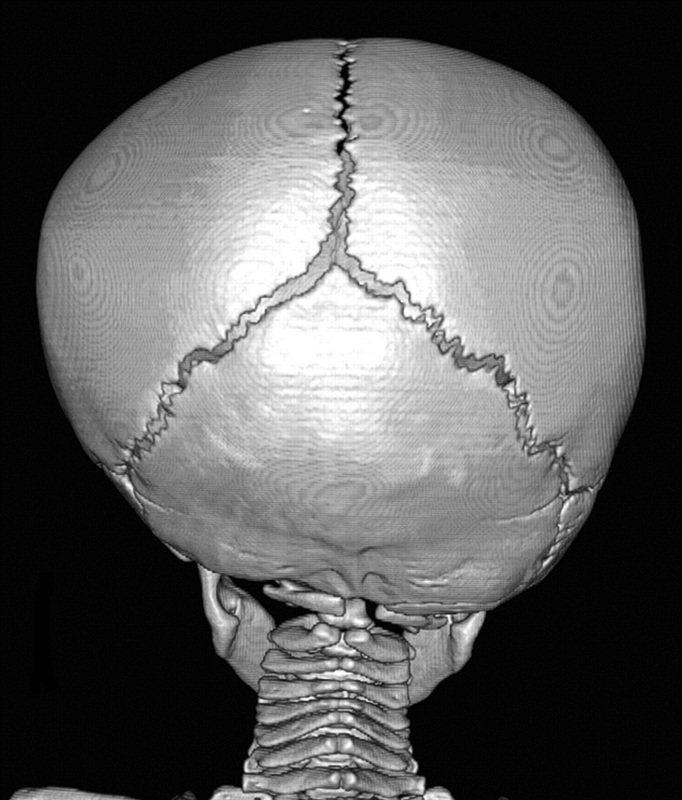 Upon examination I noticed that his right occipital bone (back skull) appeared to be protruding backward, yet he was turning his head toward the left, which was an oddity to me. If, for instance, his occiput was rotated backward on the right, he would turn his head to the right, but not to the left. This, of course, was not the case. 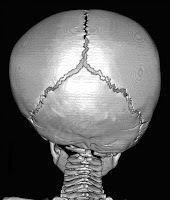 I realized that his right occipital bone was jammed into the first cervical vertebra, and rotated backward on the left. But why did it appear as if he was rotated back on the right. It was an optical illusion that was perpetuated by increased muscular tone on the left side of the back of his skull (see picture). Further, I believe that because he was lying on his back (to prevent sudden infant death syndrome or SIDS), he might have caused a bit of flattening known as plagiocephaly, which should correct now that he is improving. I guess I gave it away, but I treated him by lifting his occipital condyle off of the first cervical vertebra. With a little left to right rotation, the infant was immediately turning his head to the right (see pictures). For his eye drooping I did some light adjustments of his hand and foot digits on the opposite side (in this case the right), and sent he and his family on their way, with instructions to return two days later. I saw the little guy again on Saturday, when his father told me that “whatever you did worked, because he slept that day like he hadn’t in weeks.” His eye also seemed to normalize somewhat. When I worked on him this time, he was giggling and cooing throughout the light chiropractic infant adjustments. It was amazing! On day three (today), he looks like a totally different kid. His head was sitting straight, he was calm and his eyes seemed nearly fully symmetrical. I believe that this condition is not that uncommon, as the birthing process can be tough on a baby. Somewhere through the canal, his head jammed. Although I am certain he would have adapted to the malformation, probably with an increased thoracic hump (hunchback), correcting the problem now prevents any neurological compromise or even learning difficulties that could arise from the deformity. Cases like this make my work so rewarding. I only wish more people would take their children in for regular chiropractic checkups. Sometimes the fussing and crying some babies go through has to do with a structural deformity. I can’t imagine having your occiput jammed into your spine feels good. It sure didn’t for that little tyke, but he feels a lot better now. And so do his parents. God bless chiropractic.